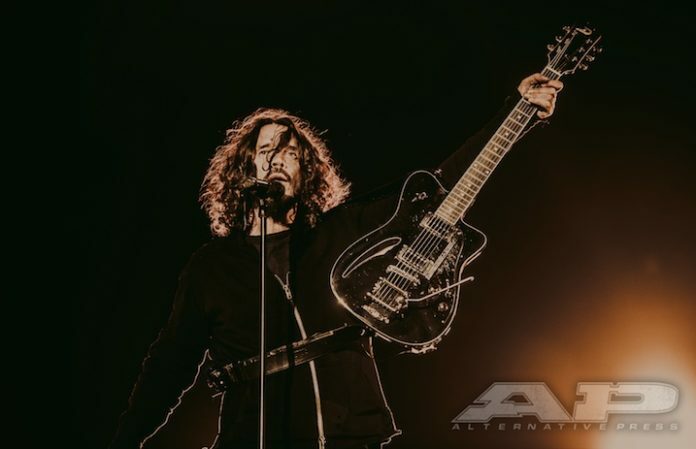 The family of late Soundgarden and Audioslave frontman Chris Cornell are planning to erect a memorial statue of the musician in his hometown of Seattle, according to a recent report from Consequence Of Sound. Cornell unexpectedly died at the age of 52 in May, a death which was ultimately ruled a suicide. Vicky Cornell tells the Seattle Times that the permanent tribute to her husband is being designed by famed artist and sculptor Wayne Toth. “He has already given me a design and the children and I love it,” she says, referring to her three children with the Temple Of The Dog founder and Pearl Jam associate, daughters Toni Cornell and Lillian Jean Cornell, and son Christopher Cornell. Toth is well known for his musician sculptures: He created a Johnny Ramone statue that's placed at the Ramones guitarist's grave at Hollywood Forever Cemetery—coincidentally, the very same place where Cornell is buried. Additionally, Vicky Cornell has started the Chris Cornell Music Therapy Program in conjunction with Seattle nonprofit organization Childhaven, which provides care to neglected and abused children in the city.